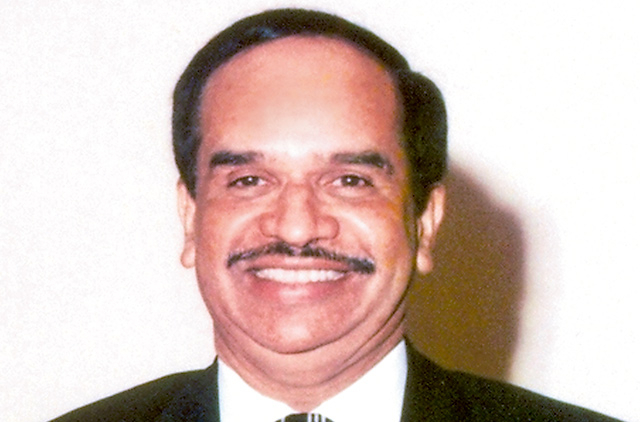 Abu Dhabi: The Indian community in the UAE is mourning the death of M.P.M Menon, a former Indian diplomat. Menon, who passed away recently in New Delhi after a prolonged illness, was India Ambassador to the UAE from 1994 to 1998. “He was very efficient as a diplomat and at the same time kept close links with the community,” said Ram Buxani, a prominent Indian businessman in Dubai. Menon was able to establish good relations with all senior officials of the UAE Government, said Thomas John, president of the Indian Social and Cultural Centre in Abu Dhabi. He was one of the longest serving ambassadors to the UAE, he said. By keeping good relations with all the community organisations, he led an active social life, said John. Menon will be remembered for his extraordinary commitment to human relations, said Mohan Jashanmal, a leading Indian businessman. “He used to remember the birthdays of all his friends. I used to receive his birthday greetings without fail every year even after he retired from service,” Jashanmal said. He said it was not only his experience but that hundreds of Menon’s friends also said the same. K.Muralidharan, another businessman, was among them. “I never experienced such a quality in any other people. He treated everybody equally. Menon was a man full of energy,’ Muralidharan said. A prominent official of the Indian Foreign Service, Menon also served as the Indian Ambassador to Bahrain, Maldives and Brazil.